Cerebrovascular disease refers to disorders of the brain blood vessels or vessels that supply blood flow to the brain. Ischemic and hemorrhagic stroke affect patients of all ages and, although these forms of stroke can be quite different in their symptoms and underlying pathology, a stroke occurs when a blood vessel that brings oxygen and nutrients to the brain bursts or is clogged. Cerebrovascular disease includes: stroke, brain aneurysms, arteriovenous malformations (AVMs) and cavernous malformations. Stroke is a leading cause of serious and long-term disability. Each year about 700,000 people suffer a new or recurrent stroke in the United States. Over 150,000 of these people die, making stroke the third leading cause of death. About 5.7 million stroke survivors are alive today, many of them with permanent stroke-related disabilities. Many advances have been made that can arrest or reverse the effects of stroke in some patients. Cerebrovascular abnormalities, including brain aneurysms, arteriovenous malformations (AVMs) and cavernous malformations, are just a few conditions that often cause stroke. 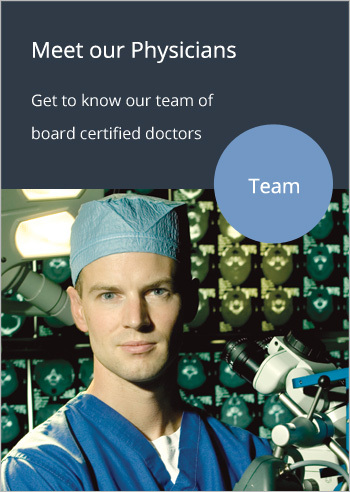 These conditions require an immediate evaluation and potentially treatment by an experienced cerebrovascular team to obtain a maximal benefit to patients. Innovative approaches in interventional and surgical techniques and advancements in pharmacological strategies are helping to make a significant difference in clinical outcomes for patients. While timing still remains the key determinant, having the advanced technology and expertise are fundamental to minimize an existing and prevent further stroke damage. A brain aneurysm is a weak bulging spot on the wall of a brain artery; very much like a thin balloon or weak spot on an inner tube. Aneurysms form silently from wear and tear on the arteries, and sometimes can form from injury, infection, or inherited tendency. Aneurysms can be discovered before rupture or after rupture. Aneurysms that are discovered before rupture are often discovered incidentally in looking at the brain for another reason; these aneurysm may or may not need to be treated depending on a variety of factors. Aneurysms that have bled or ruptured all require urgent treatment. Where is a Brain Aneurysm Located? A common location of cerebral (brain) aneurysms is on the arteries at the base of the brain, known as the Circle of Willis. Approximately 85% of cerebral aneurysms develop in the anterior part of the Circle of Willis and involve the internal carotid arteries and their major branches that supply the anterior and middle sections of the brain. The most common sites include the anterior cerebral artery and anterior communicating artery (30-35%), bifurcation of the internal carotid and posterior communicating artery (30-35%), bifurcation of the middle cerebral artery (20%), bifurcation of the basilar artery, and remaining posterior circulation arteries (5%). Aneurysms may result from congenital defects, pre-existing conditions, such as high blood pressure and atherosclerosis (buildup of fatty deposits in the arteries), or head trauma. Cerebral aneurysms occur more commonly in adults than children but, they may occur at any age. They are more common in women than in men by a ratio of 2 to 1. Cerebral aneurysms are classified both by size and shape. Small aneurysms have a diameter of less than 15-mm. Larger aneurysms include those classified as large (15- to 25-mm), giant (25- to 50-mm), and super giant (greater than 50-mm). Saccular aneurysms are those with a saccular (like a small sack) outpouching and are the most common form of cerebral aneurysm. Berry aneurysms are saccular aneurysms with necks or stems resembling a berry. Fusiform aneurysms (spindle-shaped) are aneurysms without stems, and often encompass the entire wall of the blood vessel. Often aneurysms, except for those that are very large, will remain asymptomatic (no symptoms) until rupture. Occasionally, before a larger aneurysm ruptures, the individual may experience symptoms such as a sudden and unusually severe headache, nausea, vision impairment, vomiting, and loss of consciousness. Or, the individual may be asymptomatic, experiencing no symptoms at all. Onset of symptoms is usually sudden and without warning when an aneurysm ruptures. Rupture of a cerebral aneurysm is dangerous and usually results in bleeding into the meninges or the brain itself, leading to a subarachnoid hemorrhage (SAH) or intracranial hematoma (ICH), either of which constitutes a stroke. Rebleeding, hydrocephalus (the excessive accumulation of cerebrospinal fluid), vasospasm (spasm, or narrowing, of the blood vessels), or multiple aneurysms may also occur. The risk of rupture from an unruptured cerebral aneurysm varies according to the size of an aneurysm, with the risk rising as the aneurysm size increases. The overall rate of aneurysm rupture is estimated at 1.3% per year, resulting in approximately 27,000 new cases of SAH in the United States each year. The risk of short-term rerupture increases dramatically after an aneurysm has bled, although, after approximately 6 weeks, the risk returns to baseline. Grade I: Asymptomatic; or minimal headache and slight nuchal (neck) rigidity. Approximate survival rate 70%. Grade II: Moderate to severe headache; nuchal rigidity; no neurologic deficit except cranial nerve palsy. 60%. Grade III: Drowsy; minimal neurologic deficit. 50%. Grade IV: Stuporous; moderate to severe hemiparesis; possibly early decerebrate rigidity and vegetative disturbances. 20%. Grade V: Deep coma; decerebrate rigidity; moribund. 10%. 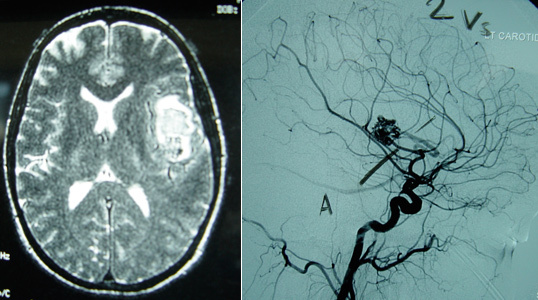 A complication of aneurysmal subarachnoid hemorrhage is the development of vasospasm. Approximately 1 to 2 weeks following the initial hemorrhage, patients may experience ‘spasm’ of the cerebral arteries, which can result in stroke. The etiology of vasospasm is thought to be secondary to an inflammatory process that occurs as the blood in the subarachnoid space is resorbed. It appears that macrophages and neutrophils that enter the subarachnoid space to phagocytose senescent erythrocytes and clear extracorpuscular hemoglobin, remain trapped in the subarachnoid space, die and degranulate 3-4 days after their arrival, and release massive quantities of endothelins and free radicals that in turn induce vasospasm. Vascular narrowing, however, is only one component of the transient inflammatory injury, which is extensive. Vasospasm is monitored in a variety of ways. Noninvasive methods include Transcranial Doppler. This method uses ultrasound to measure the velocity of blood in the cerebral arteries. As the vessels narrow due to vasospasm, the velocity of blood increases. The amount of blood reaching the brain can also be measured by CT, MRI, or nuclear perfusion scanning. The definitive, but invasive method of detecting vasospasm is cerebral angiography. It is generally agreed that in order to prevent or reduce the risk of permanent neurological deficits, or even death, vasospasm should be treated aggressively. This is usually performed by early delivery of drug and fluid therapy, or ‘Triple H’ (hypertensive-hypervolemic-hemodilution therapy) (which elevates blood pressure, increases blood volume, and thins the blood) to drive blood flow through and around blocked arteries. For patients who are refractive (resistant) to Triple H therapy, narrowed arteries in the brain can be treated with medication delivered into the arteries that are in spasm and with balloon angioplasty to widen the arteries and increase blood flow to the brain. Although the effectiveness of these treatments is well-established, angioplasty and other treatments delivered by interventional radiologists have evolved over the past several years. It is generally recommended that aneurysms be evaluated at specialty centers which provide both neurosurgical and interventional radiology treatment and which also permit angioplasty, if needed, without transfer. AVMs are defects of the circulatory system that consist of masses of abnormal blood vessels nidus (nest) through which arteries connect directly to veins. AVMs tend to enlarge, as veins cannot control the pressure of the arterial vessels and patients hemorrhage, which clinically usually presents with seizure. Diagnosis is made using CT and MRI scans to localize the main mass effect. A selective angiography is performed to evaluate the complexity of the lesion, dominant blood supply, and collateral blood flow.